Providing you the best range of plastic moulded components and industrial plastic components with effective & timely delivery. 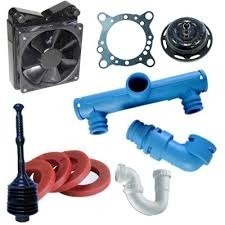 We are a trusted name in manufacturing Plastic Moulded Components for various engineering industries around Coimbatore. Owing to our dedication to exceptional customer services, we have established ourselves as admired organization, engaged in manufacturing and supplying Industrial Plastic Components.